Hildegard's Gift was not wrapped in shimmering paper and tied with gold ribbons. It was not a special package left under a beautiful, fragrant Christmas tree by old St. Nicholas. Hildegard's Gift was much more special than that. It took a lifetime for Hildegard to completely understand her gift, but when she finally did, she changed her entire world. 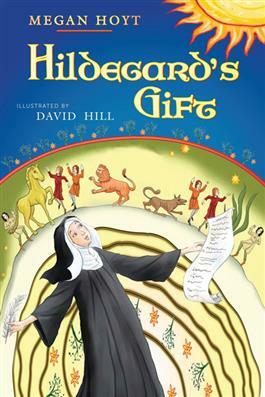 This beautiful children's picture book not only celebrates the life and work of Hildegard von Bingen; it also shows children that they, too, have gifts and talents hidden within, just waiting to be released.